Demos reported that one study has shown that almost one half (45 per cent) of pupils have become disengaged from school by the time they sit their GCSEs. Additionally, around three in ten getting their GCSE results have not – for one reason or another – made expected progress in English since they started secondary school, and one third have not done so in maths. Students who are disengaged are disproportionately likely to contribute to these statistics, and are at risk of becoming Not in Education, Employment or Training (NEET). 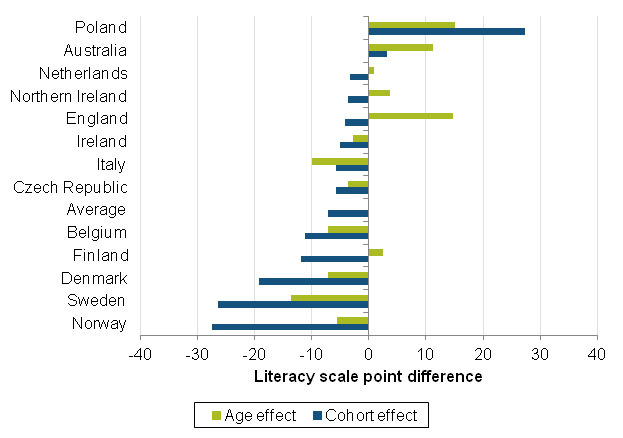 The OECD told us that England has average literacy levels compared to other OECD countries but well below average for numeracy. We have nine million adults (more than a quarter of 16–65 year olds) with low levels of basic skills. Furthermore, the skill levels of our young people are particularly poor – one third of those aged 16–19 have low basic skills. • Young people now have to stay in education, training or learning until they are at least 18 years old. • Young people have to continue with maths and English (numeracy and literacy) post-16 if they have not achieved the required level of a C grade in GCSE. • Most recently, Nicky Morgan has announced that legislation will ensure that other post-16 education providers (such as FE colleges) will be able to provide information to young people in schools so they will be more aware of alternative routes from education to employment other than A Levels and university. My personal belief is that it is the last of these three initiatives that may yield the results our country needs and address the issues raised by Demos and the OECD. We need to re-engage our young people in learning and rekindle their thirst for knowledge. I believe this can only happen if young people are aware of different pathways from education to employment and that there are different ways of learning in different environments (and the importance of mastering English and maths – or literacy and numeracy – to help them master their chosen trades/professions/jobs and progress). This can only happen if young people and their parents (and teachers) know about these opportunities and alternatives, and value them, before disengagement sets in.